Tearfish makes such wonderful art... Thanks for sharing! I really love it, thanks for scanning~! Wow, I wish I could paint like that! Beautiful! Wow it's so gorgeous. The artist must have some patience to be able to color all that hair. Thanks for sharing! So pretty! I loved the flowers! The girl looks sweet too. Very interesting theme picture here! The artist has such cute girls?! If you have more pls upload. It looks... impressive. Not as some kind of usual drawing. 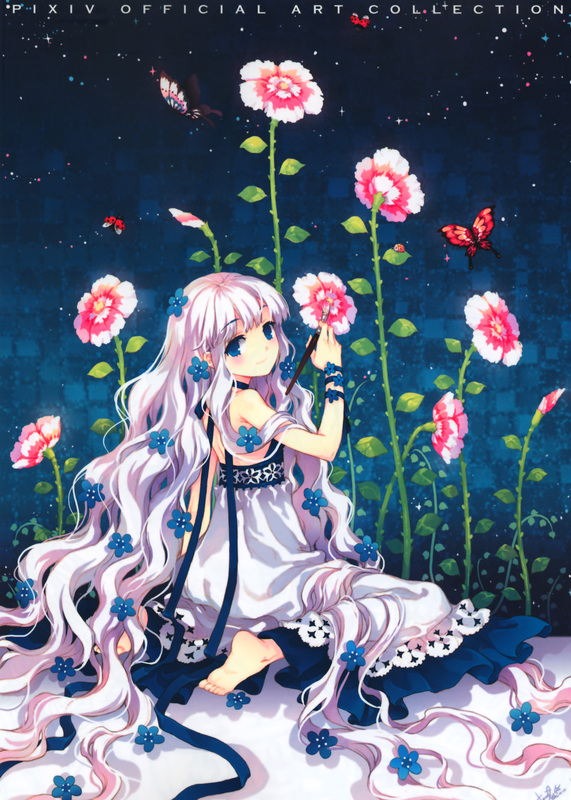 so cute...i just love pixiv! Muy Kawaii. Gracias por el scan.